a small town in this riveting, relentlessly twisting new novel . . .
Lucy Abbott never pictured herself coming back to Fawn Grove, Maine. Yet after serving time in Afghanistan, then years spent as a sous chef in New York, she’s realized her only hope of moving on from the past involves facing it again. But Fawn Grove, like Lucy herself, has changed. Lucy’s sister, Wendy, is eager to help her adapt, almost stifling her with concern. At the local diner, Lucy is an exotic curiosity–much like the refugees who’ve arrived in recent years. When a fifteen-year-old Muslim girl is found murdered along the banks of the river, difficult memories of Lucy’s time overseas come flooding back and she feels an automatic connection. At first glance, the tragedy looks like an honor killing. But the more Lucy learns about her old hometown, the less certain that seems. There is menace and hostility here, clothed in neighborly smiles and a veneer of comfort. 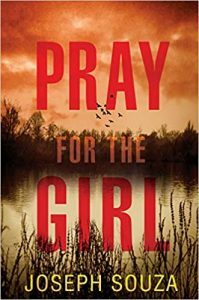 And when another teen is found dead in a cornfield, his throat slit, Lucy–who knows something about hiding secrets–must confront a truth more brutal than she could have imagined, in the last place she expected it . 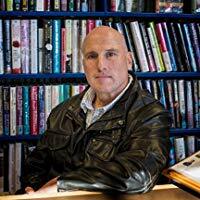 . .
Before launching his writing career, Joseph Souza worked as an intelligence analyst for the Drug Enforcement Agency (Organized Crime Unit) in Washington, D.C. His award-winning short fiction and essays have been published in literary journals throughout the country. He lives in Portland, Maine, with his wife and two children.